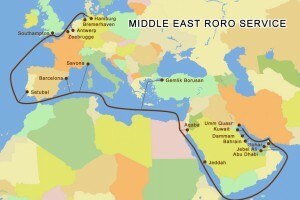 IML operate a long established RoRo shipping route; connecting Northern Europe and the Mediterranean with Middle Eastern ports. Our service utilises vessels owned and operated by first class ship owners all with modern, fast, safe & efficient vessels. 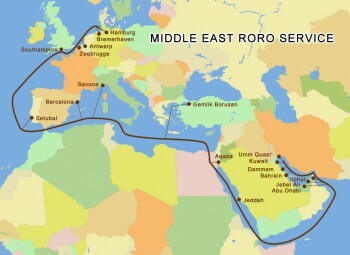 The highest level of service – we understand shipping to the Middle East & will handle all necessary documentation on your behalf. We can accept all types of rolling or tracked cargo and can also load static cargo on Mafis, please contact to discuss. 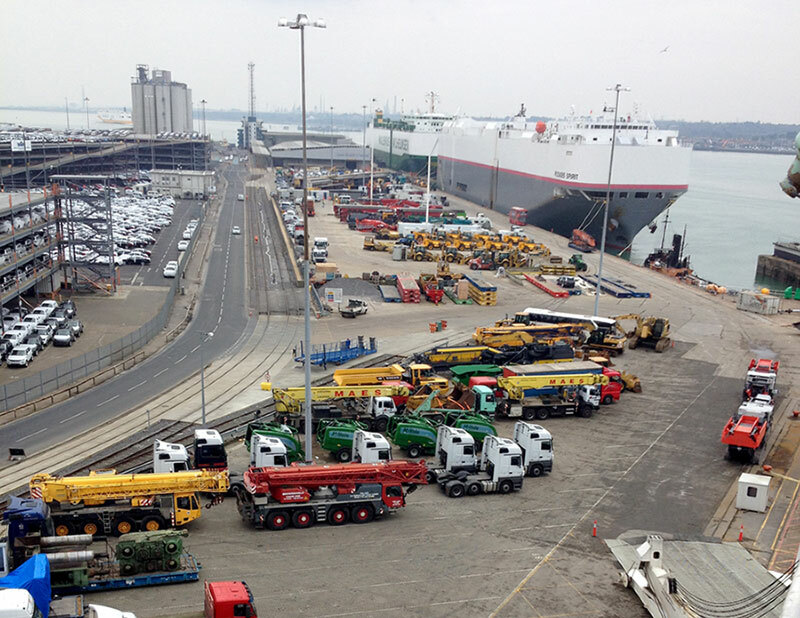 Our team have tariff rates available for Truck Heads, All types of Trucks & Box Vans, Trailers & Trailer Stacks, Crawler and Wheeled Cranes (including attachments), Construction Equipment, Mafi Cargo etc. View our RoRo Service Gallery for examples of the types of cargo we handle. IML can provide a complete transport solution including overland movement from your suppliers yard or any auction site to the port. 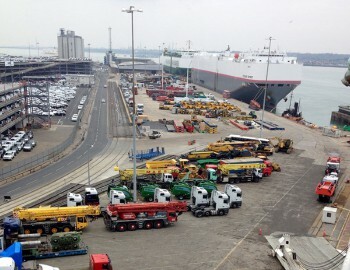 We have an extensive network of trusted hauliers throughout the U.K. and Europe. Please contact us for more information or a competitive quotation, or alternatively complete our enquiry form. Our staff are always happy to assist with any enquiry no matter how large or small. IML’s management team regularly travel to Middle East destinations and are always happy to meet to discuss your requirements.